On November 19 1993, the movie Dangerous Game premiered in New York City. 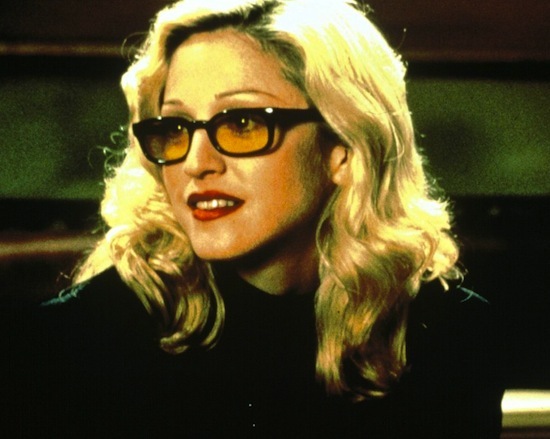 Madonna shared top-billing with co-stars Harvey Keitel & James Russo in director Abel Ferrara’s gritty and experimental film about film-making. It was one of the first productions by Maverick Pictures, the film arm of Madonna’s multimedia company that was born in partnership with Warner Bros. the previous year. In some countries, the film was released under its original title, Snake Eyes, which could not be used in the U.S. due to a previous trademark on the name. Unhappy with Ferrara’s final cut of the film–which was reported to have been drastically altered from the movie that had been pitched to the actors–Madonna did not attend the premiere and, in Ferrara’s view, killed the movie’s shot at achieving wider distribution after badmouthing it in the press. Ironically, Ferrara noted, the reviews of Madonna’s strong performance in the film (which was certainly more natural, raw & vulnerable than any of her previous big-screen appearances) are among the best she had received as an actress at the time. Dangerous Game was re-released on Blu-ray in North America on November 17, 2015 by Olive Films. It includes both the theatrical and the “unrated” versions of the movie. 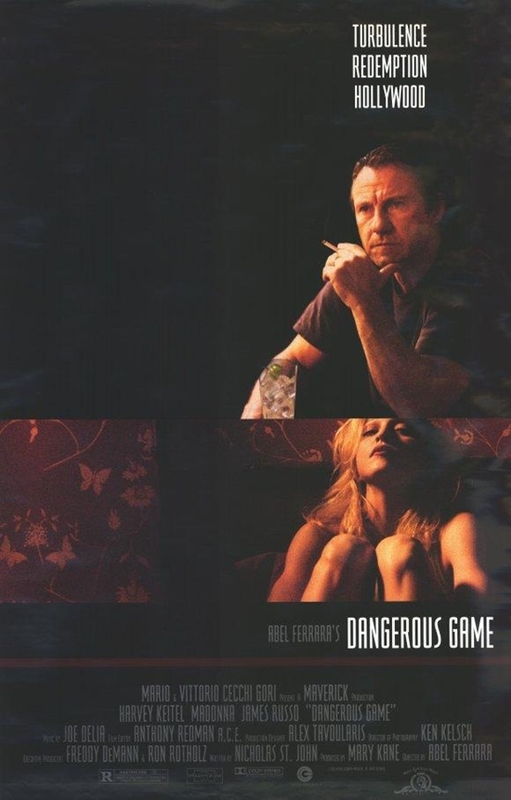 On September 9 1993, Dangerous Game (starring Madonna, Harvey Keitel and James Russo) premiered at the 50th annual Venice Film Festival in Venice, Italy. It was just another one of our films that never came out. But on that one, the audience didn’t really like the film. Madonna killed it. The first impression people get on a movie is the one that never gets out of their mind. So after Madonna got so trashed for doing Body of Evidence, she thought she was going to beat the critics to the punch and badmouth the film. And she actually got good reviews. She never got a good review from the Voice or The New York Times in her life, but she got good reviews for this movie, which she came out and trashed. I’ll never forgive her for it.